For some time now, Zipfizz and Advocare Spark have become long standing rivals to each other in the energy drink business. Quite the majority of the industry has been dominated by these two brands, and they both claim to be the best. They both say that they are able to boost your energy, concentration, and mental focus. Skeptical people would say that it is simply the effects from the caffeine, which both drinks contain. However, both drinks are reinforced with other nice substances, and there are a lot of consumers who say that either Zipfizz or Advocare Spark really works. So, below, we are going to see how the two energy drinks compare against each other and which one is the best for you. An energy drink should have a wide range of flavor choices available, even if you have a particular flavor as your favorite. Having more flavor choices will make it less boring, as you will be able to try new flavors and make some variations. 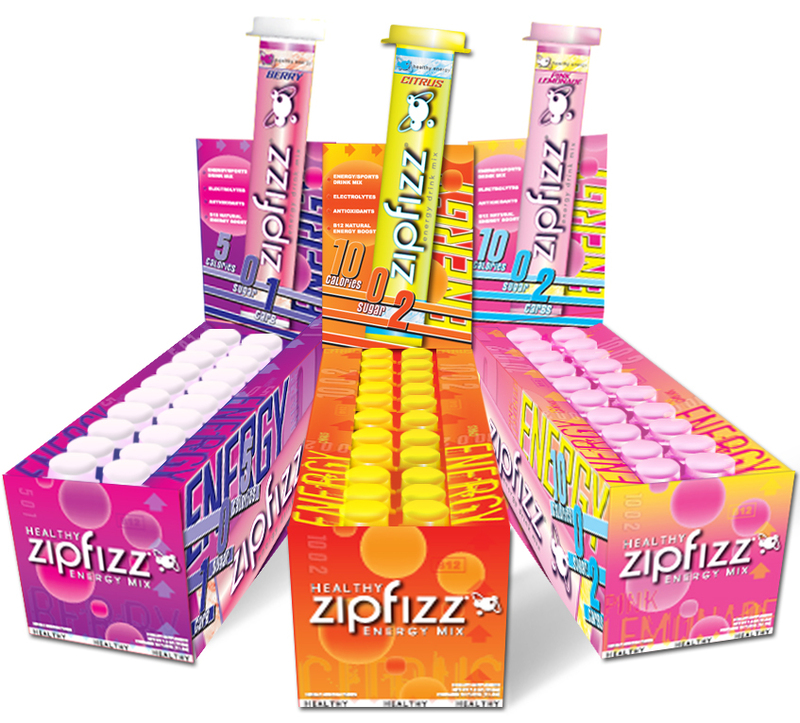 Zipfizz is coming with more flavor choices, with a total of 7, which are orange cream, orange soda, citrus, pink lemonade, berry, grape, and fruit punch. On the other hand, Advocare Spark only has 5 flavor choices, which are cherry, grape, citrus, mandarin orange, and fruit punch. Take a look: Zipfizz vs Ecodrink. Both Zipfizz and Advocare Spark come as powder. Zipfizz comes in tubes, whereas Advocare Spark is available in sachets and pouches. Each tube of Zipfizz should be mixed with 16 – 20 ounces of water. It is very easy to consume, as you just need to open the tube, pour the powder into a glass, and add the water. You can also use it in half servings, though the manufacturer recommends you to use the whole serving to really see how it works in your body. Advocare Spark is also easy to use. A sachet of it should be blended or stirred with 8 fluid ounces of water. However, if you choose the large packaging option, you need to scoop the powder using a spoon. As you can see, due to the smaller amount of water used, a serving of Advocare Spark would be more concentrated than Zipfizz. The first thing that we should put our attention on is the caffeine content. Too much caffeine is bad for the body, especially if your body does not have a high tolerance to the substance. Between the two, Zipfizz comes with a lower amount of caffeine. It has just 100 mg of caffeine per serving, and it will certainly dilute depending on how much water that you mix the powder with. 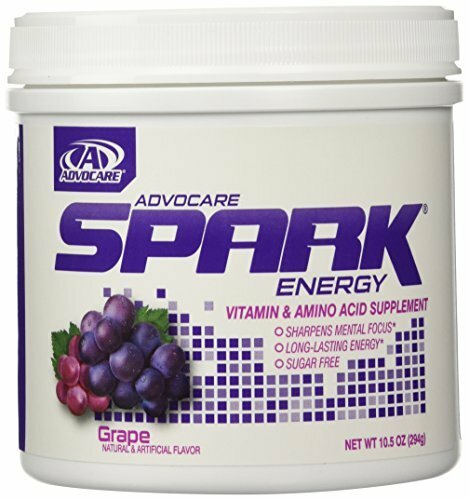 On the other hand, Advocare Spark comes with 120 mg of caffeine per serving. Considering that the drink requires mixing with a smaller amount of water, the caffeine content would certainly be even more concentrated. If you are not used to caffeinated beverages, Zipfizz would be a better option than Advocare Spark. Besides the caffeine, Zipfizz is enhanced with 25 other nutritional ingredients, with Vitamin B12 being a highlighted content due to the importance in the synthesis of DNA and RNA as well as in keeping nerves and red blood cells healthy. It features 9 vitamins, including E, C, and all the Bs; 8 minerals, including calcium, magnesium, potassium, zinc, manganese, chromium, selenium, and sodium; arginine and taurine amino acids; as well as the antioxidants from green tea, grape seed, ginger, and ginseng. Advocare Spark also comes with B Complex Vitamins, though it does not particularly highlight the feat. In addition, it is also enhanced with taurine, L-tyrosine, choline, and gamma-amino butyric acid (an inhibitory neurotransmitter to create a calming effect on the body). Both products are safe for diabetic users because they both use non-sugar sweeteners. However, they use different sweetener agents. Zipfizz has concerned some people due to using sucralose, a highly synthetic sweetener. There is also some xylitol content, so the drink is not entirely dependent to sucralose. On the other hand, Advocare Spark utilizes xylitol as the sweetener. Xylitol is generally better than sucralose because it is acquired from natural sources such as berries and birch barks and it does not require insulin to be metabolized. 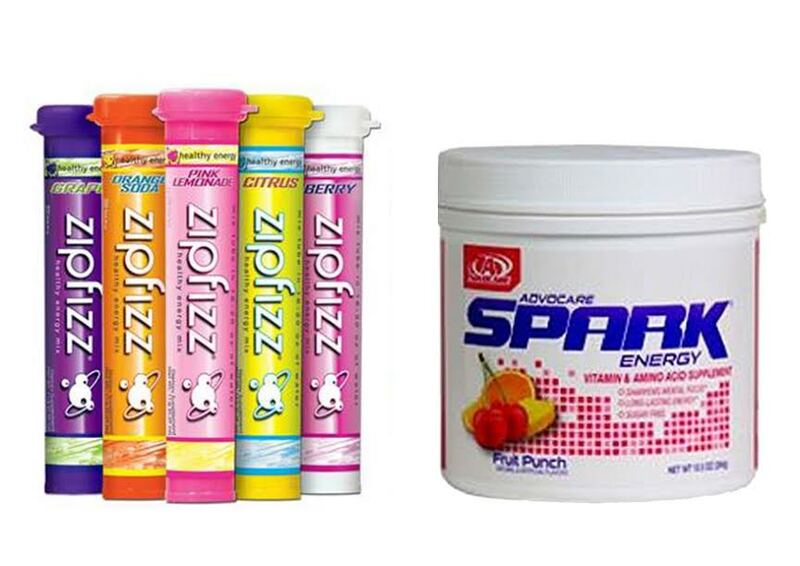 Both Zipfizz and Advocare Spark are classified as energy drinks. They have more or less the same purposes. Both are able to make you feel more energized, refreshed, and alert. These positive results have been confirmed by the majority of their consumers. Neither is specifically designed for weight loss, but they both can help in your diet. In fact, they can be great to support your diet. When reducing the calorie intake, a dieter often feels sluggish, tired, and fatigued. Since both Zipfizz and Advocare Spark are low in calorie, they won’t get in your way. Instead, they can help you feel more energized to last through the day. There have been a lot of people who have changed from Advocare Spark to Zipfizz due to the side effects. Advocare Spark has notable side effects that may occur on people who are not tolerant to caffeine. Notable side effects include increased heart beat rate, sweating, anxiety, and irritability. On the other hand, apparently Zipfizz does not have such side effects. Theoretically, similar side effects may still occur, but the lower caffeine content ensures that the side effects will not be as intense. Zipfizz and Advocare Spark are both energy drinks that claim to be able to enhance your energy and mental focus. Both have been confirmed by their users as more or less equally effective. Zipfizz comes with more flavor choices than Advocare Spark. Zipfizz has less caffeine than Advocare Spark, which seems to be the reason why Advocare Spark has significantly more apparent side effects than Zipfizz, which may include increased heart beat rate, sweating, anxiety, and irritability. Both are safe for diabetic users because they use non-sugar sweetener agents.